Many time you must have seen apps send out notifications that you see in the title bar of your screen. For eg. when you receive a SMS or when your battery is low. Android provides mechanism for your app to send out such notifications. In this post we will see how to do it programmatically. Here is what we are going to do. 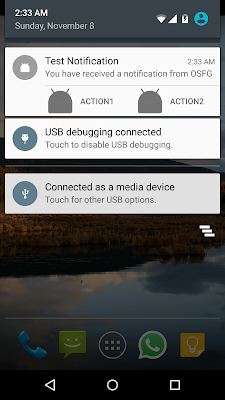 We will simply create a button that when on click will show a notification and close the App. On click of that notification we will restart our App. Now click on Show notification button. You should receive a notification in the title bar and your App should get close. Now look at the code again and relate the subject title and actions we had set. Also notice that we are calling finish() on showing notification that will effectively terminate our main activity. Now click on the notification (or the actions in it). Our App should get launched again. 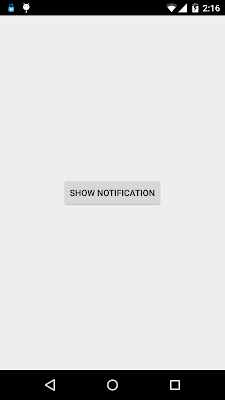 You should see activity with show notification button again. 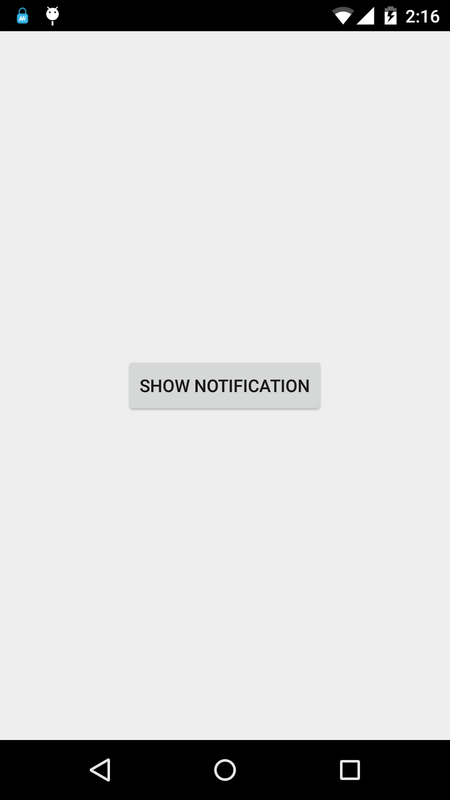 NOTE : You can call the cancel() for a specific notification ID from the NotificationManager. You can also do cancelAll() method that will essentially removes all of the notifications you had previously issued. NOTE : You can also use NotificationCompat to get builder. 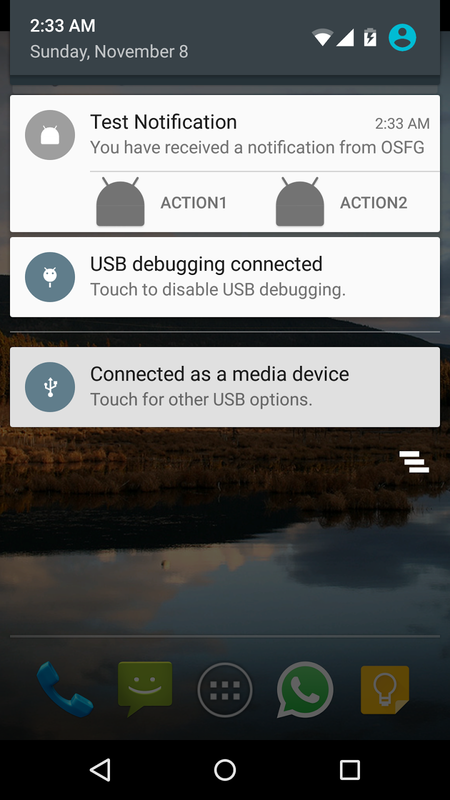 You can use things like NotificationCompat.Builder#setLargeIcon(Bitmap) to allow you to take full advantage of Android 3.0+ with things like the large icon, while maintaining compatibility on versions of Android prior to 3.0 that do not support such thing. What is this pending intent? If you are still wondering what is this intent and how is it different than a normal intent then you are on right track. PendingIntent is executed by remote component (Like NotificationManager,alarm manager or other 3rd party applications) with the same permissions as that of the component that hands it over (The one that creates the notification). NOTE : To perform a broadcast via a pending intent you can get a PendingIntent via the getBroadcast() method of the PendingIntent class and to perform an activity via a pending intent, you can get the activity via PendingIntent.getActivity() method. Next Save and Publish. You should now be able to see the widget on your wordpress site. 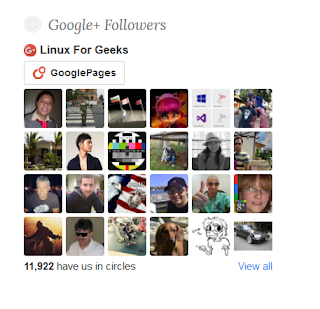 NOTE : Make sure you use your own G+ page URL as the value of data-href attribute in div tag.